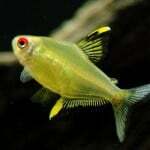 Place of Origin: Lake Valencia and surrounding waters, Venezuela. 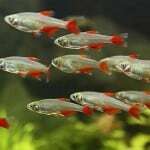 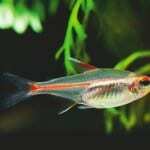 Feeding: Diamond Tetra will accept almost anything put in the tank so a stable diet of normal tropical flakes is the best place to start. 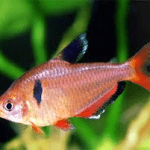 You can also feed brine shrimp and blood worms for variety of diet. 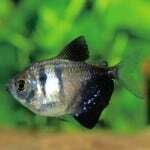 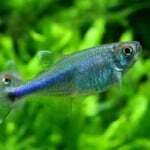 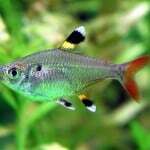 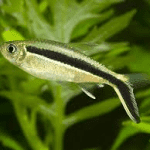 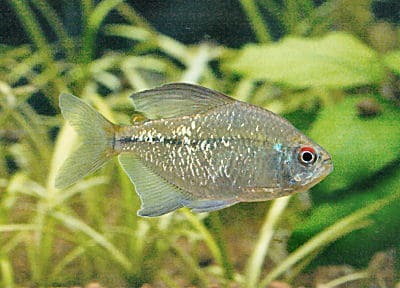 Sexing: The male diamond tetra tend to be larger and less stockily built than the female.